With a completely red background, the design of the coach evokes the legendary history of Numantine resistance and the link between the Numancia brand, Soria, and history. 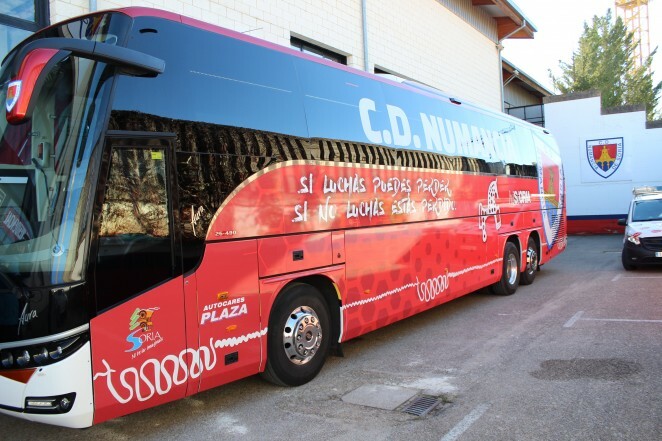 For this weekend’s trip to La Coruña, Numancia debuted a newly-designed livery on the coach the Sorianos usually travel in to away fixtures. With a completely red background, the coach truly flies the Numantine colours and features the club crest, the name of the city of Soria within hiStORIA, and the Celtic fibula representing the ‘Soria Horse’ along the side, accompanied by the slogan ‘If you fight, you may lose, if you don’t fight, you’ve lost already’. A Numantine trim runs right around the lower part of the bodywork of this coach that was used for the first time in the trip to La Coruña. 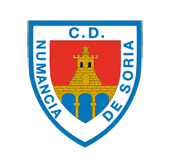 The team will, thus, make their trips to away games on a coach that tells the legendary story of Numantia and evokes, above all, the links between the Numancia brand, Soria and history. Although over the years Numancia have travelled in all means of transport possible -by plane, by train, by boat- the team coach has always been the preferred vehicle. Since the thirties, when the team were still not part of any football federation, the coach has always been the most-used form of transport to away games all over the country. Initially they were vintage cars, or charabancs, that had to be adapted to accommodate between 15 and 17 seats. Then it was station wagons, on a lorry chassis, that had to be almost completely refurbished to provide enough places to carry a whole football team. For a few years now, with greater or lesser comfort, the team has travelled in perfectly equipped buses, with powerful engines and several extra features to make long journeys more pleasant. In the case of the Numantine coach, one of the most obvious improvements is the installation of a TV satellite dish for watching all top-flight and Second division league matches, meaning the long trips are more fun and entertaining for the Rojillo players. Since 1961, the Soria-based company Autobuses Plaza has been responsible for the team’s away trips. José Plaza was one of the first drivers who travelled assiduously with the team. At the age of 87, he still shows up every day at the hangar the company has in the north of the city, overlooking the work of his sons Roberto and Javier, who have been the team’s habitual drivers for the last twenty years.